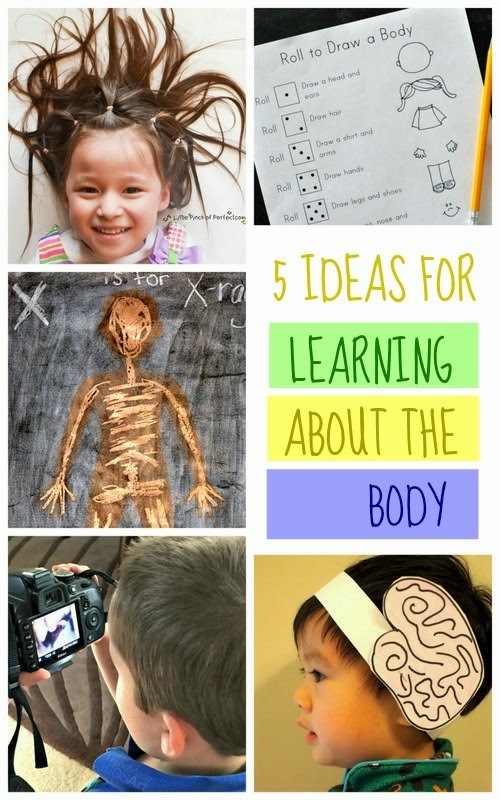 5 Ideas for Learning about the body! I think last week's Creative Preschool Collaborator's theme of learning about the body was probably my favorite theme yet. Each of us came up with really different and really creative ways to teach young children about the human body! Here's a recap of all 5 bloggers' awesome ideas! Let's learn about the body! 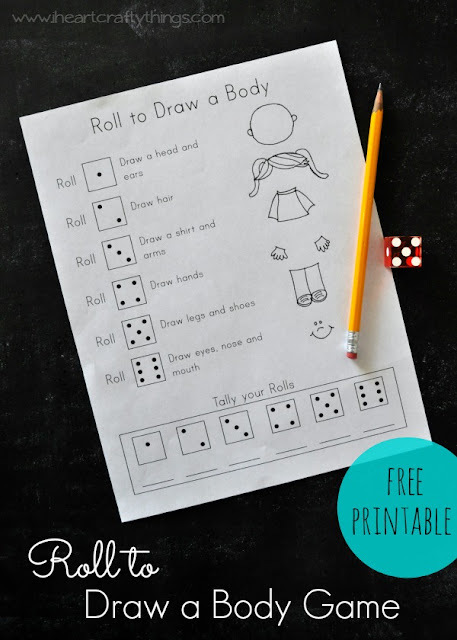 Rachel from I Heart Crafty Things came up with this really fun Roll To Draw a Body Game. I love how she combined art and science! You could also join in the fun by printing out a copy for yourself and racing the kids! Jamie from Handmade Kids Art taught her kids about the body by making a "Heads shoulders knees and toes" music video with them. Doesn't that sound fun? Definitely check out her post for technology tips and a super cute music video! Let's learn about our hair! 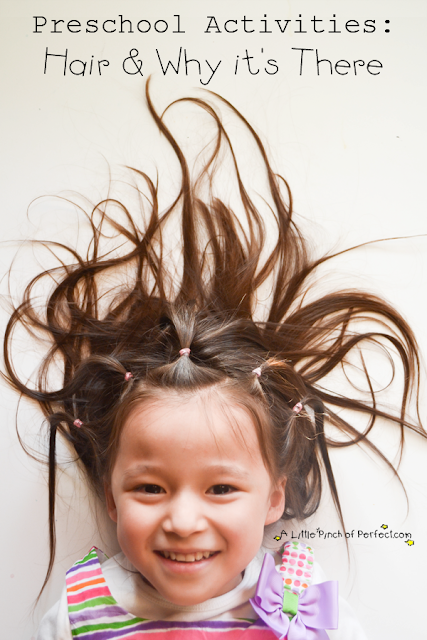 Katie from A Little Pinch of Perfect shared 3 super fun ideas for teaching preschoolers about hair. I won't give away all of the great ideas, but let's just say one involves RAINBOWS! Oh yeah! Let's learn about the skeleton! 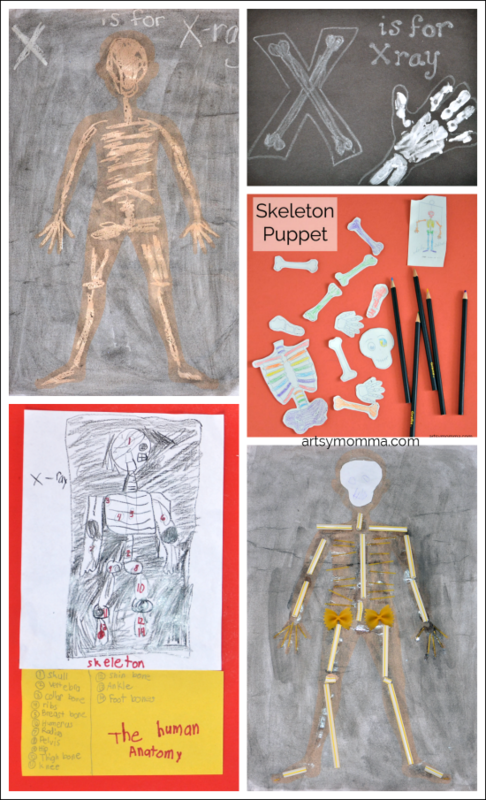 Amanda from Artsy Momma came up with 5 awesome skeleton and x-ray crafts! Whoa! Her post is chock full of ideas. I'll bet you could make them all with materials that you already have at home. Let's learn about the brain! And lastly, Chuck and I had fun learning about our brains with these 5 low-prep brain activities. Like Amanda's activities, you probably have all the needed materials at home!